Politicians are all the same no matter what country, color or religion. Once someone tastes power, it simply kills them to hand it back. 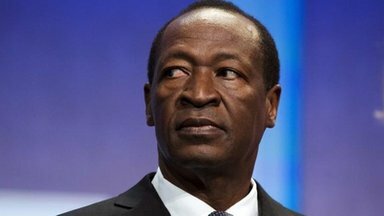 In the little know West African country of Burkina Faso, protests were sparked by the government’s attempt to push a constitutional change through parliament to allow the 63-year-old President Blaise Compaore to seek reelection next year after holding office for 27 years. Large protests also erupted in Bobo Dioulasso, Burkina’s second biggest town, and Ouahigouya, in the north. The protests turned violent on Thursday and the people stormed Parliament and set it on fire. President Blaise Compaore first tried to declare a state of Emergency and order the military to defend the government. However, the military dissolved parliament and announced a transitional government would be put in place and did not slaughter the people so President Compaore could hold on to power. Army chief General Honore Traore said: “Given the need preserve the country from chaos and preserve national unity … the National Assembly is dissolved, the government is dissolved.” The new government would be installed after consultation with all political parties and would lead the country to an election within 12 months. He also announced a curfew from 1900 to 0600 GMT (1500 to 0200 ET). However, Traore declined to say whether Compaore remained the head of state. Regional West African bloc ECOWAS had said earlier on Thursday that it would not accept any party seizing power through non-constitutional means – suggesting diplomatic pressure to leave Compaore in place. That seems a bit strange for the people have had enough of him and someone else should be appointed temporarily. This is all part of the Cycle of War. Civil Unrest is rising everywhere because the way government have been run an fiefdoms is coming to an end. Politicians are distrusted even more than Muslims in the West with all the paranoia and that is really saying something. People are not afraid of Muslims in general because of ISIS or terrorists, but they do not trust politicians across the board. WOW – that is a real statement! « Are Americans Ignorant or victims of Yellow Journalism?